Just popping in to share some lovelies I picked up over the last week. I met my friend Char for a cuppa....we had a long chat about nutrition (which Char and I share an interest in..yay! )....and of course a little browse of the Op shop. I picked up a lovely old tablecloth.....which will no doubt end up re-purposed. 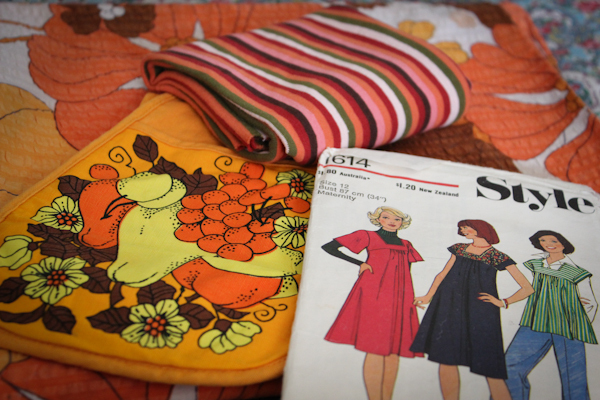 A cutie pie retro potholder....which is just gorgeous as is! a dress pattern which I might just use along with a vintage sheet to make a summer dress. plus an off-cut of stretch fabric which I had Blythe leggings in mind. 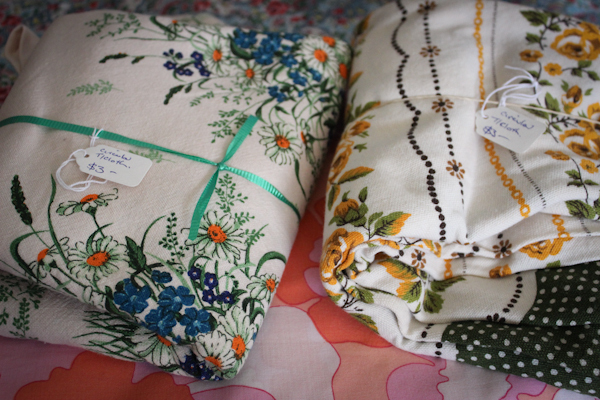 I was over the moon to find these two sweet little tablecloths....one of them I have a project in mind for already. 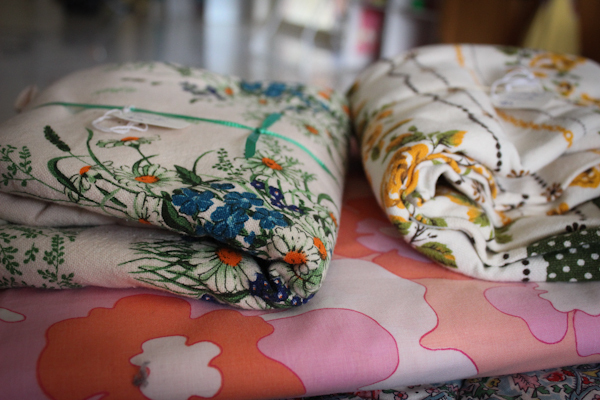 Plus a beautiful pink floral sheet.... I'm not sure its vintage....but it will mix in nicely with my other florals. So Im a happy Mardi.... a few more lovelies for re-purposing and adding to my stash. Oh I love the tablecloths Mardi. Esp the one one on the left. Can't wait to see what becomes of them. Some lucky finds there, Mardi.